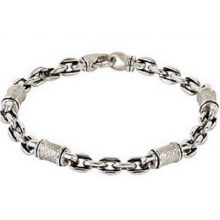 Discover the variety of metals and diamond cuts used in tennis bracelets, bangles and more so you can have your ideal custom bracelets made at BC Custom Jewelry. 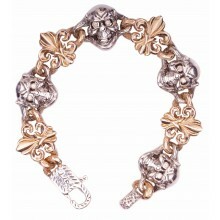 Bracelets can help to dress up any clothing you are going to wear. We at BC Custom Jewelry have a large selection of styles that can either complement or accentuate your gold or silver necklaces or rings, and they make a wonderful gift. If you do not see the bracelet you are looking for our artisan jewelers can certainly craft it for you. 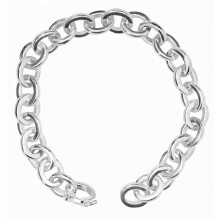 Three different metals are normally used to make silver bracelets, gold bracelets, tennis bracelets and bangles. Knowing a little bit more about them may help you decide what your perfect bracelet will be. Gold brings to mind reflections of ancient societies with its warm, lustrous colors. It is ideal for fine jewelry due to its durability, with care, gold will maintain its patina throughout the years. You may be tempted to get the highest quality gold, but it is also the softest so if you want it to last through slight bumping or scratching a lower karat might be better for you. Gold is measured in karats, which are broken into 24 parts. 24 Karat gold is pure at 24 out of 24 parts being gold. Pure gold is so soft that it is troublesome in most jewelry so it is combined with copper and silver to increase its strength. 18 karat gold is harder with 18 parts gold and 6 parts of other alloys, the same is true for 14 karat, and 10 karat. 10 karat gold is the most durable with 10 parts gold and 14 parts of copper and silver. White gold is created with pure gold, zinc, copper, nickel or palladium, and finally plated with rhodium. Rhodium is a brilliant metal that amplifies the whiteness and the strength of gold. When you are choosing what gold you want, think about whether it is for tennis bracelets, or bangles. If you are going to have stones or loose diamonds placed in the bracelet how it will hold in the setting and how often the bracelet will be worn will also make a difference for the strength of the gold. When you use yellow gold for a bracelet with a diamond, even a yellower diamond will appear whiter in the setting for engagements rings. 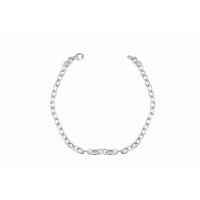 When you use white gold for tennis bracelets it compliments brilliant, exceptionally white loose diamonds. Sterling Silver dates back to ancient civilizations and today remains a highly cherished metal for jewelry around the world. Just like gold, silver by itself it too soft to use in jewelry so it is combined with other metals such as copper to give it strength. If your silver is to be considered pure, it must be at least 92.5% pure silver and only 7.5 % of another metal. 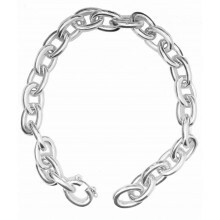 You will see .925stamped on silver bracelets, bangles and other jewelry on the inside if your piece is considered to be true sterling silver. Three basic cuts are made to loose diamonds and stones that bring out their true brilliance. Bracelets make wonderful gifts for expectant mothers, new mothers, children, or any woman who is exceptional in your life. 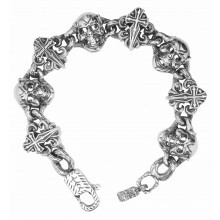 Bracelets can be made from any metal and are often engraved with a unique message or a name. BC Custom Jewelry will assist you in choosing the perfect bracelet for that special occasion or in making a custom bracelet that will remain a one-of-a-kind. Imagine the look on your wife’s face when you hand her a bracelet engraved with her new baby’s name on the back, she will treasure it forever. Just as rings slip off fingers, bracelets also find a way to come undone at times. 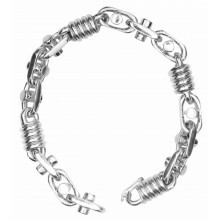 At BC Custom jewelry, we will not only repair your bracelet but we are so proficient that you will not even know that anything happened at all.